If you recall, I dealt with pretty much all of those, even the last one when my son crawls into bed with me after a nightmare. For me, though, the worst two were lack of support and back pain. My old mattress wasn’t a bad mattress, it just wasn’t the right mattress for a side-sleeper. Along with my chronic back pain, I’d also wake up with horrible hip pain. I think it was because the mattress was too firm. It didn’t conform to the contours of my body, so it was hitting all the wrong pressure points. Part of this was my problem. I always confused “firmness” with “support.” I thought that in order for a mattress to be supportive, it had to be hard. Then I tried out different Serta® Perfect Sleeper mattresses while I was shopping for the one I would bring home. If you recall, they are the only Official Mattress of the National Sleep Foundation that are designed to help solve those five common sleep problems. I went to several stores in my area to make sure I could try out pretty much every mattress in the line. Do you know what I discovered? The Serta® Fitzpatrick Super Pillowtop Plush Gel Perfect Sleeper® mattress was actually the most supportive in all the right places for me! The moment I laid down on it, I never wanted to get up! 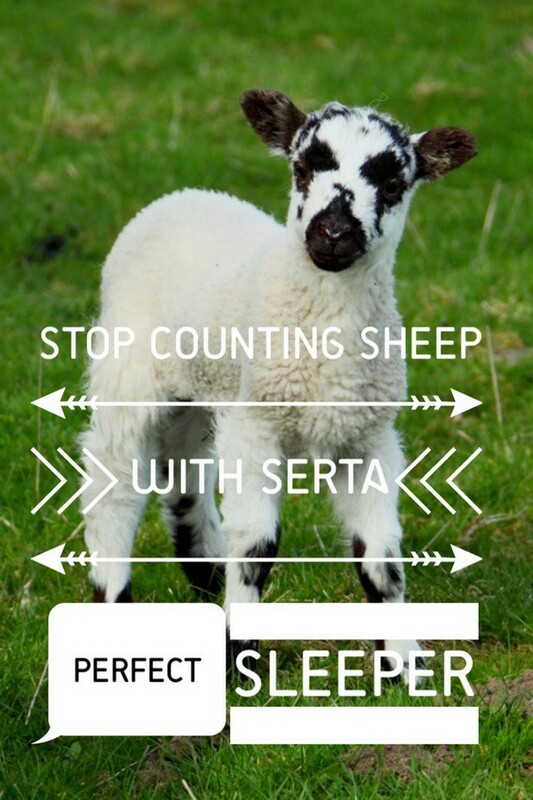 Serta Perfect Sleeper mattresses are so comfy, you’ll never have to count sheep again. I couldn’t wait for it to arrive! I also got the Pivot™ base to go along with it, which allows me to adjust the head of the mattress. Serta also has a Motions Essentials model base that lets you adjust both the head and the foot, but I went with just the Pivot. Both bases are compatible with the Perfect Sleeper mattresses. Saying “goodbye” to my old mattress! Cool Action™ Gel Memory Foam: it’s the first memory foam that’s infused with both the support and the cooling action of Serta’s MicroSupport® gel. This really helps provide relief to the pressure points on your body (like my hips). Cool Twist™ Gel Memory Foam: keeps you from getting overheated as you sleep by moving the heat away from your body. A major plus in the summer. I have a weird sleep issue. I can’t sleep in anything but long pajama pants, a long-sleeve shirt and knee socks. So embarrassing to tell you that! I don’t know why, I’ve been that way since I was a child. So I sleep with a fan blowing right on me all night and obviously get hot very easily in the summer. Custom Support® Individual Advantage™- the innerspring system has all these individual coils that react on their own to better conform to your body. 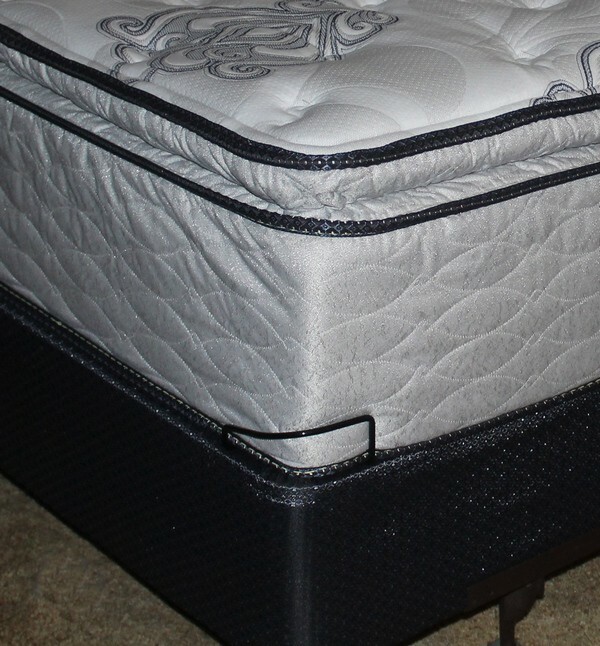 Along with TrueSense™ Design 4.0, which lets each coil move in four directions, this makes for a great night of sleep! After just a couple of nights on my new mattress, I look forward to going to bed. Like really look forward to it. I find that I fall asleep significantly faster. I used to lay in bed for at least 30 minutes, trying to think of “happy” thoughts to occupy my mind while I found a comfortable position. Now, I am comfortable as soon as I get in the bed and asleep within 10 minutes. With the Pivot, I can adjust the head slightly so I only need one pillow (I’ll never be able to give up my pillow). Since I don’t have two pillows sliding against each other all night, it reduces some of the strain on my neck. I used to wake up and find my head at the oddest angles. So far, I really love my new mattress and can’t imagine sleeping without it. I’ll tell you more after I’ve tried it a bit longer. If you’re ready to kiss the sheep goodbye, I highly recommend checking out the different Serta Perfect Sleeper mattresses. With prices starting at $399 and ranging up to $1,299, they have something for everyone. They even have a new Perfect Sleeper Memory Foam line that lets you get a memory foam bed at a more affordable price. I do recommend getting out there and laying on the beds, trying them out. I really thought I needed a firm until I tried a plush, so trying them out makes a huge difference. You can shop online if you want, but try them in the real world first. Tell me in the comments, which of the five common sleep problems do you deal with? That sounds amazing. I am in the market for a new mattress and this one sounds perfect for my husband and I . We need a new mattress SO BAD. Ours is just losing all support so I wake up sore – I will definitely check this out! I think I need this bed! I have insomia and even if I take sleeping pills still I can’t soundly. When I woke up my whole body is aching. A good night’s sleep is so important. That’s why having a good mattress is key to a good night’s rest. I also think a good pillow is important – for me, it’s gotta be not too firm, not too soft! Ahh. Just looking at your new mattress, I already can feel how awesome your sleep can be lying there. It looks really comfy! Nice! We got a new Serta in the spring and we love it! We need a new mattress SO bad and have been putting off getting one. Its hard to figure out which ones are best. Thanks for the info to help make our decision easier! The bed looks amazing. I am so in need of a new mattress. I will check this out. I’ll have to give the Perfect Sleeper a closer look. We need a new mattress in the worst way. Oh wow, that looks absolutely a great one. We are due for a new one so I will keep this in mind. I really need a new mattress set! This looks like it would be very nice. Maybe one of these days! My husband and I were just talking about needing a new mattress just this morning! We won’t be in our place much longer, but this sounds like a good one to consider when we get settled somewhere else. This looks like an awesome mattress! We totally need a new one and this looks like it would meet all our needs! I have problem sleeping at times. It’s really good to invest in a good mattress that can keep you comfortable in your sleep. If I had this mattress I would spend a lot more time in my bed. My biggest thing is waking up in the middle of the night and being up for hours. Serta has such a good reputation. I would love to try one too. This sounds like a great mattress. I need to replace mine terribly. I will have to go to check out a Serta perfect sleeper. Omg nothing is better than a new mattress! We just got a new one for my daughter and I’m so jealous! This sounds so amazing and I so need a mattress. I have been using the same mattress for 19 years now. It would be nice to get one like this so I will have to check them out. Thanks for sharing. 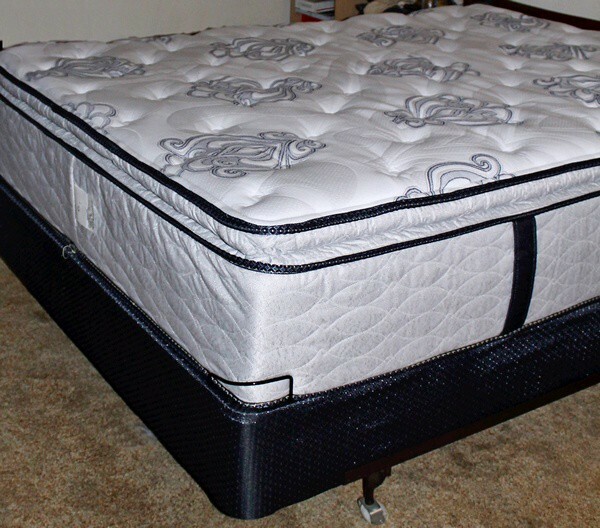 Getting a good quality mattress is important for me – I actually want to have a new one as well. Poor sleep is one of the most un-heralded causes of health problems. I’m blessed to be able to sleep just about anywhere at any time, but most aren’t so lucky. 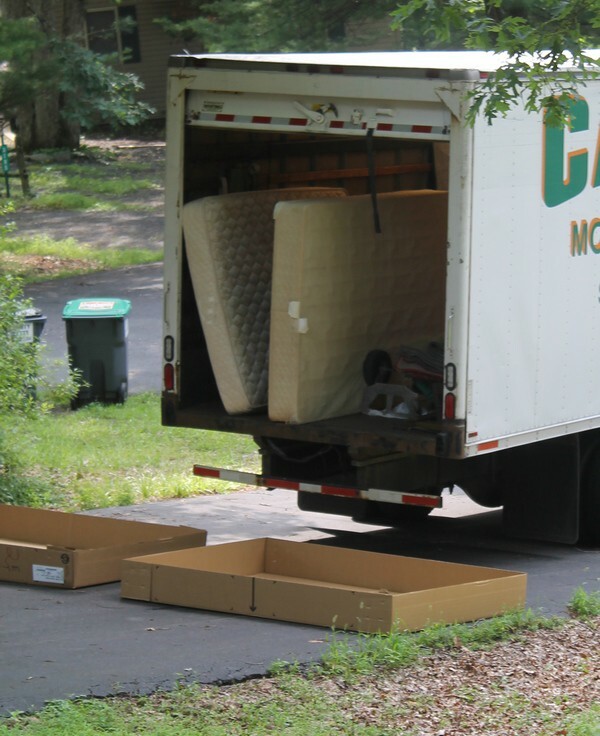 Start with a good mattress and go from there. When I need a new mattress, I am going to remember to look at the Serta Perfect sleeper. This mattress really gives the support where it is needed. I will have to take a look in the showroom, and lay on it for myself to see how it feels!